There is new guidance — or law, it’s not entirely clear which, and nobody seems able to provide a confident answer — coming into effect for cosmetics in the EU from July 2019 concerning ‘free from’ claims. You can see it here, in Annex III of this Technical Document on Cosmetic Claims from the Sub Working Group on Claims, which is hosted on the European Commission site but “is not a European Commission document”. 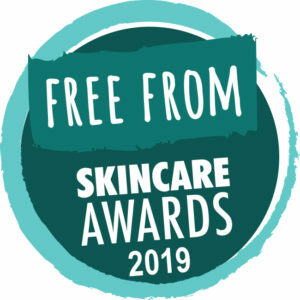 This clearly concerns us as we look to launch the 2019 Free From Skincare Awards, and we have been asked many times for our views on the matter, and what action we will be taking. What follows is our response. Broadly speaking, we approve of ‘free from’ (or ‘no’ or ‘does not contain’) labelling on cosmetics, when the statements are made for named ingredients or groups of ingredients. We are not keen on ‘free from chemicals‘ (everything’s a chemical), ‘free from toxins‘ (everything’s a toxin at a certain dose; toxic levels of any ingredient are not permitted in cosmetics) or ‘free from nasties‘ (least of all because what’s nasty to you may not be nasty to me, and vice versa). We do not approve of ostentatious ‘free from’ labelling whose aim is to make an inappropriate virtue of the absence of a certain ingredient, or to fearmonger, or to jump on a trendy bandwagon. This is an abuse of ‘free from’ labelling. I can think of no better topical example than the shampoo from Herbal Essences, which I’ve written about here. We do like ‘free from’ labelling that is discreet, given equivalent prominence to the ingredients list, perhaps alongside it, on the back, so that people who need or want it can find it easily, and the attention of those who aren’t interested isn’t unnecessarily captured by it. Brands using ‘free from’ labelling we like get credit during judging in the Awards — just one of many attributes we look for. Brands using ‘free from’ labelling we’re less keen on are sometimes penalised during the judging stage, on a case-by-case basis, taking into account the views of the expert panel on the day. There are six parts to it. Part 1 is Legal Compliance. 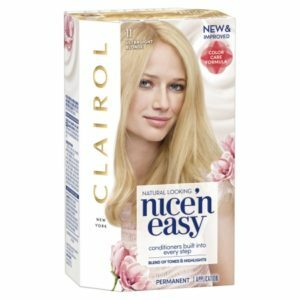 It states a ‘free from’ claim should not be made for a prohibited ingredient. We agree. Part 2 is Truthfulness. The example given is that ‘free from formaldehyde’ should not be used if the product contains a formaldehyde-releasing preservative. No argument there. Part 3 is Evidential Support. That ‘free from’ claims should be able to be substantiated. Fair enough. Part 4 is Honesty. Of course we want honesty, but find the reasoning here problematic. 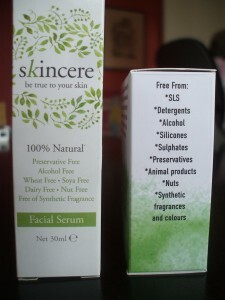 The text reads: “”Free from” claims … should not be allowed when they refer to an ingredient typically not used in the particular kind of cosmetic”. 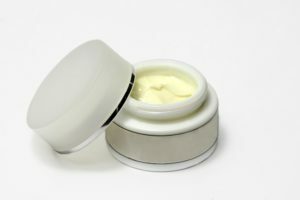 Our issue is that consumers do not have degrees in cosmetic chemistry, and are often unaware there is no SLS in a moisturiser, for example. ‘Free from’ labelling can reassure in such cases, especially those newly diagnosed with an allergy. Part 5 is Fairness, and here we start running into real difficulty. “”Free from” claims … should not be allowed when they imply a denigrating message, notably when they are mainly based on a presumed negative perception on the safety of the ingredient”. The examples given are for parabens, triclosan and phenoxyethanol. Our view is that a straightforward ‘free from’ claim never implies a denigrating message in itself. There is a world of difference between ‘free from parabens’ and ‘free from nasty parabens’. There’s also a difference between ‘free from parabens’ on front-of-pack in 24pt font, and listing parabens within a small free from box on the back of the product alongside several absent ingredients. It is not clear which other ingredients are deemed to have a ‘negative perception’ and which are not. Examples given are ‘free from alcohol’ (for a family product), ‘free from animal-derived ingredients’ (for vegans), or ‘free from acetone’ (for those looking to avoid the smell in nail polish). Fine. But what about people with allergy? Do they not constitute ‘a specific group of end users’? Of course they do. Or at least they ought to — given that ‘people who don’t like the smell of acetone’ appear to. To us, this lies in the potential conflict between points 5 and 6 with respect to allergy. Is the need of those with phenoxyethanol allergy to be informed something is ‘phenoxyethanol free’ secondary to the requirement to avoid its so-called denigrating message? How does one adjudicate on whether ‘free from [fragrance]’ is or isn’t denigrating the fragrance, or whether fragrance sensitive people constitute a ‘specific group of end users’? With thousands of potential ingredients, hundreds of them allergens, it seems the legislators have chosen to sidestep this problem entirely. This absence of clarity fails the allergic community — the people for whom ‘free from’ labelling is arguably most valuable. In defence of their dislike of ‘free from’ labelling, many cosmetic chemists are fond of pointing out that consumers should look at the ingredients. We’re tired of hearing this. Consumers get confused at the mind-boggling array of chemical and Latin terms. Free from labelling helps them — and, last we heard, cosmetics labelling was there for consumers, not to satisfy dogmatists or powerful industry brands. “Just read the ingredients!” is ignorant and ableist. Detractors want to make ‘free from’ statements a matter of science. They are issues of language. “This does not contain this ingredient” does not mean “This does not contain this ingredient because it’s bad”. Despite this, with regard to the Awards, we wish to emphasise that we will not penalise brands who, due to Annex III, feel they have to remove all or some free from labelling for fear of contravening the guidance / regulation when it comes into effect later in the year, when the 2019 Awards are over. Brands without ‘free from’ labelling but which meet our criteria will be more than welcome to apply. However, we will also not penalise brands who do no wrong in our eyes. This position may upset some, but over the years we have found it impossible to satisfy all. We launched our Awards for the consumer with ‘free from’ requirements — and they remain our priority. If light is shone on the unclear aspects we have outlined, we will comment again, and either way, we will review and adjust our position, criteria and terms for the 2020 Free From Skincare Awards, accordingly. But for now, given that Annex III is effective from July and entrants to the 2019 Free From Skincare Awards have to comply by law as it stands at entry deadline at end of April, we’re going to move on, and get ready for our launch, this year in early March. Although we ask entrants to submit their products into one of fourteen categories in the Free From Skincare Awards, all are automatically considered for another special category — the Free From Achievement Award, which this year has been generously sponsored by Organyc. We launched the Free From Achievement Award in 2015, following a suggestion from George Jones of Bathing Beauty, who have won three medals in previous years of the Awards. 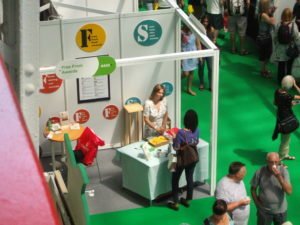 The idea was to give a special nod of recognition to a product which may not (or may) have won its category, but which certainly did exclude most, if not all, of the preservatives, food allergens and fragrances which so many with multiple sensitivities have to avoid, and which performed well too. The inaugural winners were All Natural Soap Co for their Castile Olive Oil Soap, and the category was subsequently won by Sukin‘s Supergreens Nourishing Chia Seed Oil+ (2016) and Honesty‘s Protect Nourishing Cleanse Balm (2017). Who is going to win the Free From Achievement Award in 2018? Well, here’s it’s going to be one from the following Shortlist …. Twelve products with barely a common allergen among them! 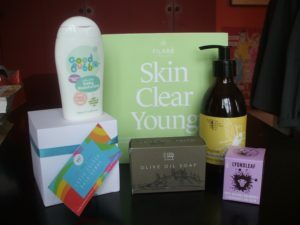 It’s a nice mix of soaps, cleansers and moisturisers, with a deodorant and a fun product thrown in for good measure, and we’re especially delighted that there are some products for young children in among the mix this year. In previous years, we didn’t publish a Shortlist for the Award, partly because there weren’t that met the exceptional ‘free from’ requirements of this special category, but this year, we actually struggled to whittle it down to a manageable dozen. We’re glad it’s such an impressive Shortlist, as we know this list will be especially useful to those with multiple sensitivities which they’ve not yet managed to get to the bottom of. With a selection of these products, you can pretty much conduct all your daily ablutions and pampering! As for the Gold winners (and we may have a Silver and a Bronze to dish out too …) you’ll have to wait until July 5th, when we’ll be announcing the results at a special invite-only presentation and networking event at Olympia’s Pillar Room. We’ll be live tweeting the results — follow hashtag #FFSA18 from around 5pm on the day itself, from both our Twitter accounts @skinsmatter and @FFSkincareAward — for those of you who are unable to attend. Remember too that we have active Instagram page and Facebook page where we’re always sharing lots of news. In my dear dad’s day, men’s grooming toolkits consisted almost exclusively of Brylcream, an industrial soap, some shaving foam and razors. The Brut I’d buy him for Christmas as a boy was a late addition to his repertoire. Or was it Old Spice … ? But by the time I reached young adulthood myself, moisturisers for men were just starting to lose their novelty value and were becoming fully integrated into the modern’s man regime. 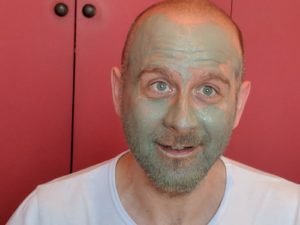 I later got hooked on Lush’s Cosmetic Lad moisturiser, and used it for years. Lush divide opinion, I suspect because they use parabens preservatives, and some find the pungency of their fragrancing overbearing, but I still like this product a lot – it’s like melted nougat and I’ve always credited it for looking after my skin in my twenties and thirties. But what about free from men’s skincare? Natural men’s grooming has not surprisingly been slower to take off. In the Free From Skincare Awards, we introduced the Men’s Grooming category in 2013, and the inaugural winner was a small Scottish brand called Live Native, for their Head to Toe for Men Remedial Moisturiser. All the entries that year were moisturisers, bar a shaving oil from Bathing Beauty, which took Silver. 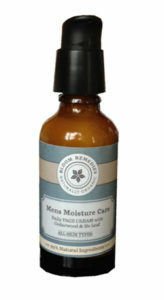 The moisturisers took the top prizes for a couple more years – Lavera in 2014 for their Sensitive Moisturising Cream, and Bloom Remedies‘ excellent Men’s Daily Moisture Care, the overall winner, in 2015 – but we did attract a broader mix of products, including a shampoo, a face wash, a face scrub, and a few beard oils. But it wasn’t until 2016 that some more radical men’s grooming products were entered – one of which happened to win. It was Kokomelt’s delicious Sugar Scrub Hand Cubes, which I still fondly remember. We also got an eye cream that year, and a fragrance free body lotion, and a men’s ‘fit pit’ deodorant. In 2017, we got a men’s body oil from Kernow Spa, some anti-ageing products from Samaya Ayurveda, and a night cream and eye gel from Feisc, all entered into the grooming category. But it was, finally, to be the year of the face oils, with Rosalena’s Beauty & The Beast Face Oil triumphing. I’d been waiting for face oils to make their mark in men’s grooming for some time. I’d personally discovered them a few years earlier, through the Awards’ Oils and Oil-based Serums category – whose entrants were mostly fragranced and aimed at women, but some of which were fragrance-free and clearly unisex. 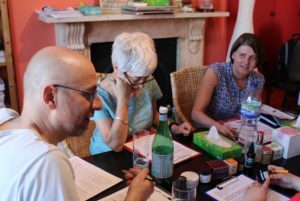 Having processed the feedback of the female testers, and therefore having read about the transformational benefits of some of the oils, it made me want to try some – and I’m glad I did. We then also started to send one or two oils to our male testers, and although a few took a while to get used to using them (you only need a few drops), for others, they were a revelation. Oils are magnificent, and the category is almost invariably the highest scoring one of all in the Free From Skincare Awards. So what of 2018 – and beyond? 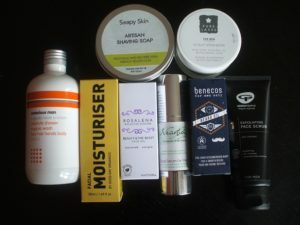 Well, all will be revealed on July 5th, along with the other category winners, but the men’s grooming Shortlist this year (pictured above) reveals a nice mix of products – oils / moisturisers, a gel, a scrub and a shaving soap, and the eagle-eyed among you will note that Rosalena are back defending their title. In fact, we had so many products that we had to look beyond our dedicated male testers this year, and recruit some partners and grown-up sons of our regular female testers! All did a sterling job. Most innovative and original on the list by far is the Pure Lakes’ Scalp Hydrator, which I was personally really pleased to see entered this year. As a bald man of many (too many …) years standing, we ‘slap heads’ have long needed a grooming product specifically for that part of the body, so it’s great that formulators and brands are continuing to think beyond the mainstream and obvious in men’s skincare and body care. Outside of free from, the landscape of men’s grooming continues to develop in ways which would have been unthinkable just a few years ago – It’s been quite an eye opener to see Veet for Men’s Hair Removal Cream, and Nivea for Men’s new Body Shaving range, which includes shaving stick, shaving gel, and after shave gel, all come onto the market. I think ultimately producers of natural or ‘free from’ skincare would do well to keep reminding themselves that men have allergies too. Men are vegan too. Men look to avoid certain ingredients too. The developments in recent years have been terrific, but we still need greater selection of products catering for a wider selection of ‘free from’ needs. Producers, formulators – it’s over to you! Given that the decision last year to launch a new Lip Balms category for the 2017 Awards was, we thought, a little risky and experimental, it came as a surprise even to us that it transpired that the new category’s inaugural Gold winner also walked off with the Overall Best Free From Skincare Product at our sixth Free From Skincare Awards, which we announced a week last Friday, on 7th July, at the Love Natural Love You show, Olympia. 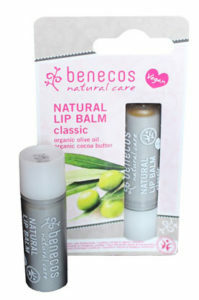 That winner was Benecos’ Classic Lip Balm. It not only beat off around 25 other products entered into its category, which was kindly sponsored by Green People, but around 270 products entered into the Awards overall. Why did judges consider it the overall winner? Well, obviously, it performed very well with our testers, four of whom used the product rigorously for one month, and then completed detailed questionnaires on it – as our testers did for all entered products. But it was only when the product went before a panel of judges that its category win was confirmed, and later before another panel of judges who whittled down all the category winners to just one – to just that terrific and unassuming Benecos product to take the winner’s trophy. Firstly, it was a vegan balm. Vegan lip balms are a relative novelty in the sphere of ‘natural’ skincare, as so many – including many which performed well in the lip balm category – contain beeswax. Second, it was fragrance free. While natural fragrances and essential oils can be an absolute delight, those who are sensitive to them, or simply want to avoid them in certain products, appreciate products which are fragrance free. Third, it was free of food allergens. The simple ingredients – plant waxes, cocoa butter, sea butter, sunflower oil, sea buckthorn oil – are highly unlikely to be reactive to anyone. And fourth – it was a great price – under £2.50! While we had dear, non-vegan, fragranced and allergen-containing winners both in other categories and in past years – and certainly will again – this year, judges just felt this product stood out and was particularly deserving of its Free From win. Special mention here must also go the winner of the Free From Achievement Award – Honesty’s Protect Nourishing Cleanse Balm – which was also free of most ingredients some have problems with, with the sole exception of oat, a very occasional food allergen – and winners of Best Brand, Bloomtown Botanicals, a first time entrant who made the journey from Cornwall, and also walked away with a category Gold in Body Care (Take Off) for their Sweet Almond and Shea Sugar Scrub. Quite an achievement to bag best brand with the likes of Neal’s Yard Remedies in the competition. It was great to see a full Pillar Room for the presentation, and we are grateful to the many brands who came along to attend, and in some cases, to collect their awards and certificates. The winners were wonderfully diverse. A men’s face oil (men’s oils barely existed a few years ago) took the Grooming prize – well done Rosalena, a first time entrant. A Tattoo Balm by Mrs Frisbee’s took the top gong in the Problem Skin category: we’d been asking for more unusual skin products (for chaffing, for sport, for urticaria and yes, for tattoos) for some time in that category, and hope to get more next year! And yet another small brand took the popular Family Skincare category – Siskyn’s Rosehip & Tamanu Scars & Stretchmark Body Oil really worked well for so many women, and deserved its recognition. Only strong products get shortlisted: FACT! 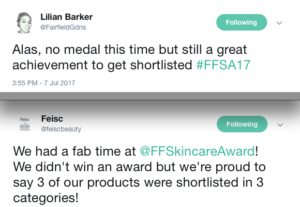 Not all could be winners, but we are grateful to those who, despite not winning a ‘gong’ still took their ‘defeat’ in good grace – such as Fairfield Gardens and, with a joint table-topping four shortlisted products, Feisc, whose tweets both caught our eye. Yes, Lilian, you are right: it really was an achievement to get shortlisted, as the standard was so high this year, and a lot of products which performed really well just missed out on medals. Brands will see this from their feedback, which we provide to all who ask. As well as announce the results at the LNLY Show, we also exhibit there for three days. Every year, we showcase the winners on our stand and, faithfully, visitors come to examine the winners’ list – often, we see the same visitors who come, make a note of the top performing products, snap the list on their smartphones, and vow to buy them! 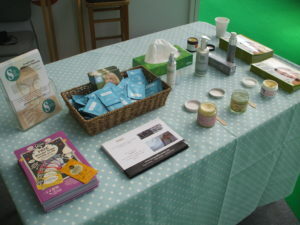 We also have tester samples of products entered into the awards by brands who – for reasons financial or geographical – cannot make it to the show themselves – and these always prove popular (pictured left, Rosi’s Skinfood, PHB Aloe Vera Gel, Egyptian Magic, Neantog Moisturiser and others). Finally, we have samples and information from our sponsors, which this year also included new online natural store Bare & Beyond, multiple previous Award medallists Beauty Kitchen, as well as sponsoring stalwarts NATorigin, who have been with us since 2012. Of great value to us when manning the stand is all the feedback and information that visitors give us. Many are looking for products suitable for their problem skins – often psoriasis, which seems one of those intractable problems that even medicine finds difficult to handle. 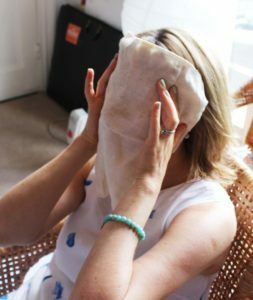 But, curiously, many people know that they have sensitivities to skincare ingredients – but few have undergone patch testing to discover what these are. Perhaps it’s lack of availability, reluctance to approach their doctors, or perhaps a reticence to learn that there are yet more ingredients to avoid and more labels to scrutinise at the shops – the thought of which, especially if you have food allergies already, can further weaken and stress the allergic consumer. It’s hard to know what to recommend in these circumstances, but simple formulations without fragrance or food allergens tend to be our go-to. 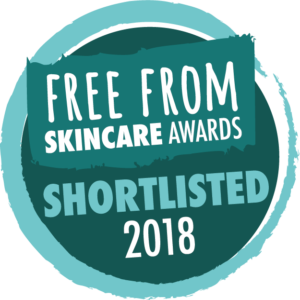 We really hope the FreeFrom Skincare Awards encourage new hypoallergenic formulations and boost options, as well as increase options of natural products for the non-sensitive who like to avoid certain ingredients for environmental, religious or ethical reasons. We know, again by talking to visitors at our stand, that many would like to use more make-up, but sadly react to it. 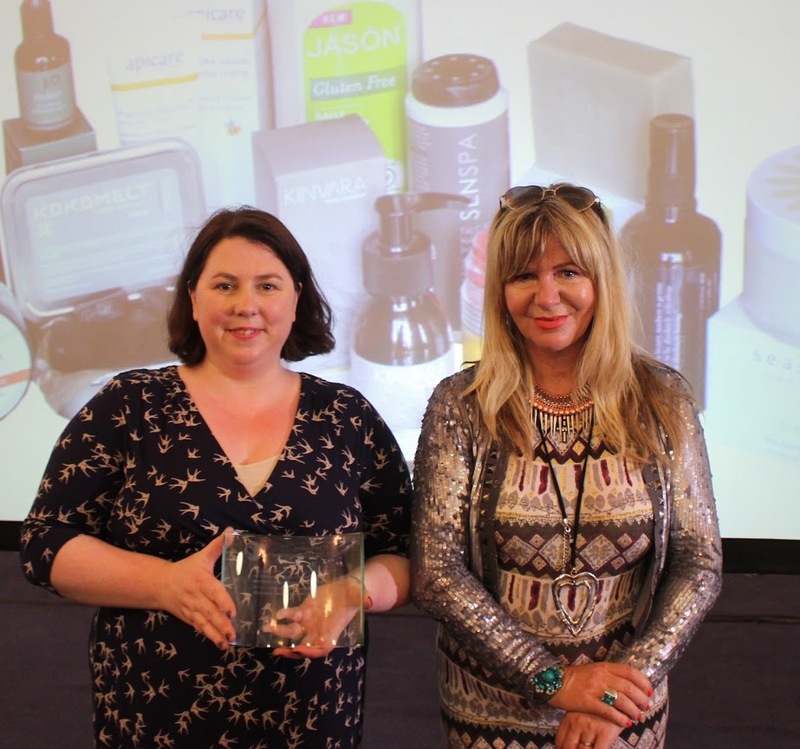 Our Make-up category this year was fairly modest – with Jane Iredale deserving Gold winners nonetheless – and we’d like to see both more entries and more make-up exhibitors at the LNLY / Allergy & FreeFrom Shows too. Where are you, hypoallergenic make-up brands? 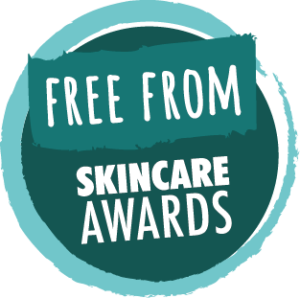 To see winners and links to category winners in the FreeFrom Skincare Awards 2017, click here. To read our previous blog on Testing and Judging of the FreeFrom Skincare Awards 2017, click here. To find out about sponsoring a category in the FreeFrom Skincare Awards 2018, click here. To be added to the mailing list for the FreeFrom Skincare Awards 2018, contact us here. Every year, to some degree, the Free From Skincare Awards is a bit of a numbers game. Here are 2017’s: 264 entries (just a few shy of 2016’s total), 120 brands (54 of them first-time entrants), 94 testers, 14 categories, 14 judges, 4 judging days – and only 1 overall winner! The entries were much more evenly spread between categories than in previous years. Our traditionally large categories (Face Care, Problem Skin and Oils / Serums) were more manageably modest this year, while the typically more humble ones (Men’s Grooming, Fresh & Fragrant, and Hair) upped their game. Lip Balms – previously bundled in with Face Care (Leave On) – was granted its own category for 2017 and we received an excellent batch. All round, there was a terrific spread. Are we the only Award that encourages greenwashing?! 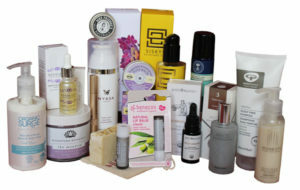 Each tester – most of them former or current Beauty Bible testers, but some Skins Matter readers and product reviewers too – received a bundle of 8-12 products to test solidly for 1 month, with some getting a second batch of around 6 towards the end of the testing period, for another month. Our testers do a magnificent job; their attention to detail and dedication is second-to-none. They answer a dozen open-ended questions on each product, and score out of 20: 10 for day-to-day usage / ability to do what a product ‘says on the tin’, and 10 for month-long effectiveness and benefits. 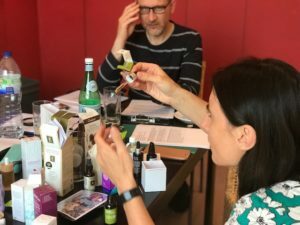 While we ask for their views on labelling, value for money, fragrance etc, scores focus on how the product works and how it benefits the tester’s skin or hair. Scoring was high in 2017. Only 40 of the 264 entries averaged a score under 7 out of 10: only 8 under 6 out of 10. The median was 7.8 – which would normally win a medal, quite possibly Silver. Clearly, the shortlisting and medalling thresholds would be higher this year, and it would be down to the expert judging panels to be discriminating, but fair. Their job was not an easy one. They are asked to judge on ingredients, on formulation, on product innovation and versatility, on VFM, on allergy awareness / free-from-ness, on labelling – and their input is combined with that of the Testers to reach overall results. While it is very easy and satisfying to upgrade a product for what it does right, it is far tougher to downgrade a product for what it might do wrong. In fact, it can be demoralising. We want products that have performed well with testers to actually do well in the Awards – but they can’t, always. It pains judges, especially when we’re dealing with small or niche brands, which we have always tried to champion. Here is, I guess, where the ‘numbers game’ breaks down. Sometimes, it falls to debate and discussion and acting on hunches – a ‘feel’ for deciding what’s right. Overall, we have tried to be consistent, but with so many variables, and differing judges’ opinions, it is never easy to make tough decisions – particularly in the case of Problem Skin entries, whose testers sometimes had transformative improvements to their skin. 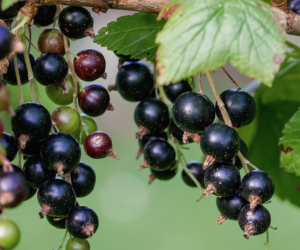 It tells us that, perhaps, start-up brands are concentrating their efforts on formulation – getting their product recipes spot-on, filling them with incredible natural botanicals – but neglecting other areas, not sticking to the rule book – perhaps not reading the rule book – and not getting their labelling compliant or ‘best practice’. Decisions can be tough, and can overcome even the best of us, eh Kirsty? While many have done superbly well, it is the smaller brands who have suffered a little this year, and we will, once the Awards are over in July, give them as constructive feedback as we can. We can’t deny, then, that we didn’t end up with some winners which snuck into Gold medal position almost by default. Fine products that they were, one or two products won not because they were magnificent according to our testers, but because they were perfectly good according to our testers – and also made no faux pas according to our expert judges, with excellent labelling and adherence to cosmetic regulations. The Shortlist for the 2017 Free From Skincare Awards will be announced in early June. The Winners of the 2017 Free From Skincare Awards will be announced from 3pm on July 7th at the Love Natural Love You Show. For an insider look at the judging, complete with action pictures, see Michelle’s blog here. A quick round-up of some free from Christmas gift sets … Back this year by popular demand! Our friends at Lyonsleaf – who are, of course, multiple medallists in the FreeFrom Skincare Awards – including a gold in 2015 for their Beauty Balm – have a number of gift sets. They start at £9.99, with this Hot Cloth Cleanser Gift Set, containing 30ml Beauty Balm (moisturiser and hot cloth cleanser in one), white cotton face flannel and two two-ply muslin face cloths. Other sets include the 100% Natural Body and Face Gift Set (£12.99 – includes both Beauty Balm and Body Butter, as well as sundries) and the Face Saviour Gift Set (£14.99 – with Beauty Balm and Calendula Balm). Also multiple medallists in our Awards are Green People, who have a number of attractive natural and organic beauty sets and boxes. They include this Joyful Gift Set of Body Lotion and Body Wash (Tangerine and Cypress) (£19.99), plus others including the Soothe Facial Trio and Skin Glow Trio. Options for guys include Hydrate Men’s Kit and Energise Men’s Body Set, and the fragrance free option is the Organic Skin Balance Pack consist of natural scent-free cleanser and 24 hour face cream. 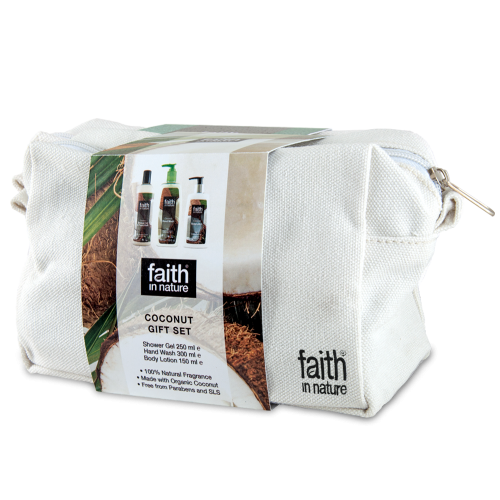 Gold winners for their coconut shampoo in 2014, Faith in Nature always have good gift sets: three options here this year. Blue Cedar, Lavender & Geranium, and Coconut. The Blue Cedar is the men’s option – shampoo, shower gel and bar soap – while the other two contain shower gel, body lotion and hand wash. £14.99 for the men’s set; £16.99 for the women’s. Also previous gold winners, Odylique have a wide selection of attractively packaged gift sets, including this new Odylique Selection Box pictured (£27) which contains a mini selection of a number of brand favourites – Creamy Coconut Cleanser, Calming Rose Super Tonic, Timeless Rose Moisturiser, Superfruit Concentrate, Coconut Candy Scrub (which took a gold in 2014), Gentle Herb Shampoo (a gold in 2013), and Ultra Rich Balm. Other options include a baby gift / travel set, and a Rose Full Size Gift Set. They came … from Ireland; they saw … the Love Natural Love You Show, Janey Lee Grace, their fellow shortlisted candidates, and a lot more; they conquered …. the FreeFrom Skincare Awards! Many congratulations to the team from Kinvara Skincare – Fiona Treacy is pictured here, receiving her trophy from Janey – for triumphing in the fifth annual FreeFrom Skincare Awards. Their Absolute Cleansing Oil was a beautiful product, with terrific labelling and excellent ingredients, that all judges were delighted for it to take the top gong last Friday. Special mention must also go to double big-winners Sukin – a runner-up in Best Brand in 2015, and winners this year in 2016 – who also took home the FreeFrom Achievement category, for their Supergreens Nourishing Chia Seed Oil+. This year, we’d been ‘upgraded’ to the rather lovely Pillar Room at Olympia to hold the presentation – and extend thanks to our annual hosts, the great team behind the Love Natural Love You Show, the Allergy and FreeFrom Show and the V Show – for allowing us to celebrate our fifth anniversary in greater style. Tom, Bruce, Austin, Carmen, Helen, Robbyn and all the gang – you’re great! The standard was high – which is something I’m well aware we say every year, but it’s true – and I think it’s getting stronger. The main thing we noticed with regard to products was an increased awareness and acknowledgement of food allergies on skincare products – something we have been asking to see for some years. ‘Contains nuts’ or ‘free from nuts’ are both very helpful messages to those with food allergies, who often have to carefully negotiate complicated (and Latin) ingredients on cosmetics, in order to check they’re not going to incite a skin-based reaction due to their food allergy. Skincere and Naked Skincare Co – just two brands mentioning food allergens on their products are pictured left, while another – double bronze winners Myroo – even now make a strong virtue of being free from the 14 key food allergens, and make it clear on their labelling too. Although the ‘gluten free’ message is more contentious (there’s no good research confirming those with coeliac disease need to avoid gluten in skincare) we still think, on balance, that it can be a useful confirmation of safety to those who are less au fait with the complexities of gluten intolerances, and to those who want to rid their homes of gluten, no matter what. And so, yes, JASON’s GF Shampoo really was a deserving winner this year with the testers and judges, even though we had expressed some uncertainty about it previously ourselves. ‘Free from chemicals’? Everything is a chemical. Natural skincare is filled with exceptional botanical chemicals. Please, skincare manufacturers, don’t make this claim. Here’s one of our judges, Lorraine, tackling this on her blog. ‘Free from toxins’? All skincare, by law, has to be free of toxic levels of ingredients. All ingredients are toxic at certain doses (even water), and preservatives, by their nature, have to be toxic to bacteria, viruses, fungi and moulds in order to preserve your cosmetics and keep them safe for you. Please, again, let’s not create alarm by talking of ‘toxins’ in skincare. It could be inferred from ‘free from toxins’ that brands are implying other, orthodox or mainstream brands contain toxins – and that implication is, we think, unreasonable. ‘Free from nasties’? Well, what’s a nasty? What is nasty to you, may not be nasty to me – and vice versa. Different people have different needs and views, and this form of free from labelling risks confusing people, or lulling them into a potentially false sense of safety. ‘Free from chemical nasties’? Yes, we saw this one too …. Please no, people! So what do we like in free from messaging? 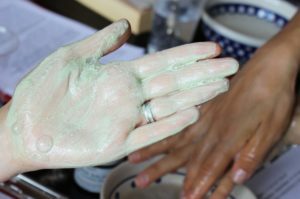 Specific, named ingredients, please – or groups of ingredients – those which turn up on contact dermatitis testing panels or which are known to trigger allergies, or those which people wish to avoid for ethical or environmental reasons, or reasons of personal preference. Here’s a straightforward and effective one from Kinvara, pictured right. ‘No’ is just fine as a ‘free from’ alternative! No, we don’t want to be thinking ahead to next year too much just yet, but we will, in due course, review our terms and conditions and our criteria, as legislation and research moves forward and changes, and critically assessing the ingredients we ‘ban’ from the awards must always take place. Although our excluded ingredients are not meant to represent a collection of ‘baddies’ – rather a minimum expectation for our potential entrants – we do think it’s time to ask honestly whether allergen-free artificial fragrance, for example, should be permitted, and whether we should be putting tighter restrictions on fragrance allergen content. And as for categories? We have been toying with splitting Face Care (Leave On) to two or more categories – day creams, night creams, lip balms and eye creams? We need your input, brands! Let us know what you think – or whether we should have another category that we haven’t yet thought of. A few thank yous: to Nicola, who came on board this year to lend various helping hands to us with packing, accounts, advice and lots more; to our team of a dozen judges, who donate a day of their time to slap on any number of moisturisers and unguents at our head office every May, and no doubt go home smelling like a walking perfume factory; to our sponsors – NATorigin, Benecos and Organii – for the financial support we really need; to Janey, to Formula Botanica, to the LNLY Show, and the Ultimate Natural Beauty Bible, for being great partners to work with. Particular thanks to our Beauty Bible Testers, all 130 of them, for some sterling work this year. Lots of them were very good, and have been testing for us faithfully for several years, but I’ll reserve a particular shout of gratitude to three of them – Sally A, Tracy B-L, Kerry B – for truly magnificent work which really stood out. The care with which these testers, and indeed so many others, put your products through their paces, with such precision, means a lot to us – and is a huge boost to the integrity of our Awards. For the results of the 2016 Awards, click here. For photographs of the 2016 Ceremony, click here. For press coverage of the 2016 Awards, click here.